What are the 2019 Girl Scouts Voices Count Surveys? Girl Scout Voices Count is a national survey of girls, parents or caregivers, troop leaders, and service unit volunteers that is conducted each year by the Girl Scout Research Institute (GSRI), a group of researchers who work at Girl Scouts of the USA (GSUSA). At Girl Scouts, we care about your experience, good or bad, and we want to hear from you! The survey results help GSUSA and local councils figure out how to improve and grow Girl Scouts so you can have the best Girl Scout experience. Why is it important for me to take the survey? How will survey results be used? It’s super important for us to hear directly from girls and adults about what is happening (or not!) for them in Girl Scouts. We really want to know the truth, the whole truth and nothing but the truth about your Girl Scout experience—good and bad. If you had a difficult time this year in Girl Scouts and receive a survey invitation, please let us know so that we can make changes and give you the support and environment you need next year. If you had a fabulous year, we want to hear from you too, so we can keep on creating those great experiences. The Girl Scout Voices Count survey collects all this information and feedback from Girl Scout councils across the country and around the world. This lets GSUSA understand similarities and differences between the needs and interests of all the different groups, regions, councils, etc. to make Girl Scouts better for everyone! It also allows councils to improve our programs and customer service. When is the survey being sent out? The first email invitations to the survey will be sent out on Wednesday, April 3. The survey will close on April 30. The first email invitations to the girl survey will be sent out April 3, with reminders on April 15 and 26. The troop leader survey will also launch April 3, with reminders on April 11, 19, and 28. The parent survey will launch April 8, with reminders April 17 and 29. A service unit volunteer survey will be fielded in May. If you don’t want to participate in the survey or receive reminder emails, make sure to click on the “Unsubscribe” or “Opt Out” link within the survey invitation. We hope you’ll participate and help us out! Who will invitations come from? Is it the same for girls and adults? Should I check my spam folder? You’ll get your survey invite from Qualtrics, GSUSA’s online survey platform. Invitations for girls and adults will be sent to the primary email address listed on their membership record. For younger girls, this email address will be the same as their parent or guardian’s email. For older girls (13+), this email address may be the girl’s personal email. The sender name on the email will say “Girl Scouts of the USA.” The reply-to email address will be noreply@qemailserver.com. The subject line will differ for each survey group and for each reminder; however, every subject line will begin “Girl Scouts Annual <<insert customer group>> Survey” and indicate the customer group (Girl, Parent, or Troop Leader). The survey invitation may get caught by your spam filter, so be sure to check your junk folder if you can’t find the email! If you use Gmail, also look in the “Social” or “Promotions” folders. Will I receive an invitation to take a survey? Girls who are 13 years old or older and have an email address in GSUSA’s records will receive an invitation sent directly to the girl’s email address. Girls who are 12 years old or younger (or older girls who don’t have an email address in GSUSA’s records) will receive an invitation via their parent or guardian’s email. Within the body of the email, the girl’s name will be listed to help identify who should be taking each survey. If a parent or guardian has multiple girls in Girl Scouts, they will receive a separate survey for each girl. If you are an adult who is a parent or guardian of a currently registered girl member and/or a current troop leader—Yes! All eligible adults should receive a survey invitation. Please note, because some invitations for girls will go to the parent/guardian’s email address, an adult may receive multiple survey invitations. The headers for the surveys will designate which survey it is. (e.g., “Girl Scouts’ Annual GIRL SURVEY—we want to hear from your girl!” or “Girl Scouts’ Annual PARENT SURVEY—we want to hear from you!”) This year, the surveys have visual cues for each customer group. They each have a different color background and repeat the word “Girl” or “Troop Leader” etc. Make sure to only fill out your own survey, and that your girl(s) fill out only their survey(s). Also note, survey invitations are sent only to those adults/girls who have not opted out of receiving emails from GSUSA. In our council about 25% of our members have opted out of communication with GSUSA, and thus will not receive an invitation to take the survey. If you have opted out or think you may have opted out and still want to receive a survey invitation, you can contact GSRI at GSVoicesCount@girlscouts.org and they can send an invitation to you or your girl directly. Please also consider updating your record to accept emails from us. My sister/mom/caregiver/daughter received a survey invitation, but I didn’t—what’s up with that? If you are a girl who wants to complete a survey, ask your parents to check their email to see if they received an invitation for you. If not, have them check their spam folder. If that doesn’t work, ask your parents to contact the GSRI at GSVoicesCount@girlscouts.org and they can help with sending a survey invitation to your parents. If you are an adult who wants to complete a survey, check your spam folder first, then contact GSRI at GSVoicesCount@girlscouts.org so they can help with sending a survey invitation. In the subject line of your email, write “Please send me a GSVC Survey for [select: Girl OR Parent OR Troop Leader]”. What about other kinds of volunteers, will they receive surveys too? In April, GSRI will be surveying adults who are current troop leaders or co-leaders. The GSRI will survey service unit volunteers in May, and will be sharing information with councils soon about how to participate. We’ll let you know as soon as we know more! It will take about 15–20 minutes to complete a survey, depending on how detailed you are when answering the open-ended questions. Younger girls, especially Daisies and Brownies, will most likely need some adult help to fill out a survey. GSRI recognizes the survey is a bit longer than people are used to, so there’s a bonus! As a thank you, all participants who complete the survey will be entered into a raffle to win a $50 gift card! There will be twenty cards raffled off per survey (i.e., 20 cards for girls, 20 cards for parents, and 20 cards for troop volunteers), so make sure to complete your survey on time! It will be open the entire month of April. You don’t have to finish the survey in one sitting either—Qualtrics automatically saves your answers, and you can complete the survey at another time. Just click on the survey link provided in the email invitation again, and the survey will start where you left off. What kinds of questions are in the survey? Each survey group (girls, parents, and troop leaders) will receive slightly different questions. Everyone will be asked about how satisfied they are with their Girl Scout experience and how likely they are to stay in Girl Scouts in the coming year. Other questions include topics like: what’s unique and special about Girl Scouts, reasons for staying in or leaving Girl Scouts, the kinds of activities girls do in Girl Scouts, relationships with other girls and with adults in Girl Scouts, the support parents and troop leaders receive from Girl Scouts, the benefits of participating in Girl Scouts. Who will be able to see my answers? Your survey answers are confidential and used for research purposes only. That means your answers are private: a girl’s troop leaders will never see her responses, and council staff will not see troop leaders’ responses. You or your answers will never be personally identified in any report, written or spoken. The results of this survey are only for the use of your council and GSUSA. You will not receive any sales or marketing contact as a result of your participation. Are there any special rewards being offered for taking the survey? There are rewards (called incentives in social science research) being offered to encourage and thank people for taking the survey. GSRI is offering a chance to win one of twenty $50 gift cards for each survey group (girls, parents, troop leaders). I’m trying to take the survey and having technical problems—what should I do? If you are accessing the survey on a mobile device, try taking the survey on a traditional desktop or laptop. Make sure your internet browser is up to date. Qualtrics surveys work with all of the supported versions of the following web browsers: Apple Safari, Google Chrome, Microsoft Edge, Microsoft Internet Explorer, and Mozilla Firefox. Older versions of these browsers may not function as intended. 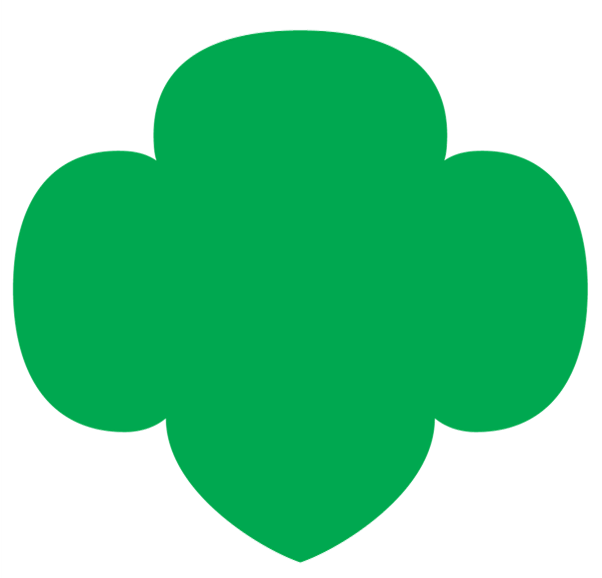 If you have tried the above and are still having problems, please email GSVoicesCount@girlscouts.org. Because this is a national survey, the council is not able fix technical problems, but hopefully GSRI will be able to help you out with whatever problem you are having, and they should reply within 24–48 hours. What if I have questions or want more information about the survey? For more information, email GSVoicesCount@girlscouts.org directly. Because this is a national survey, the council is not able to send out survey invitations or fix technical issues. It’s hard for my younger girl to complete the survey since she is still learning to read and type. Why are younger girls given such hard surveys? This is a tricky issue! Researchers know that it is difficult for some younger girls to take surveys, but their opinions are just as important as their older sister scouts! This is why we ask girls of all ages to complete surveys, with help from adults if needed, so that their voices are represented in the results equally. The council also collects data from younger girls in person, which makes it easier for them to participate, but we can’t reach nearly as many girls that way. We really appreciate the time and energy younger girls and their caregivers put into completing surveys. So this is a national survey, not a council survey. Does the council also send out surveys? Occasionally! Often a council conducts surveys at in-person events or programs for girls and adults. We also sometimes send out online surveys for specific things, like the cookie program, travel, feedback from community volunteers, and more. This varies from year to year. What if I need help right away? Should I use the survey to share my issue? What other kinds of research projects does Girl Scouts do? Can I read about any of them? The Girl Scout Research Institute does all kinds of cool research about girls, Girl Scouts, and other topics, including: the benefits of Girl Scouts for girls and alums, Girl Scout outdoor experiences, girls/Girl Scouts and STEM (Science, Technology, Engineering and Math), the Gold Awards, the cookie sale and entrepreneurship, trends in girls’ well-being, Girl Scouts and academic success, and more! You can read more about GSRI and read some of their reports here: http://www.girlscouts.org/research.